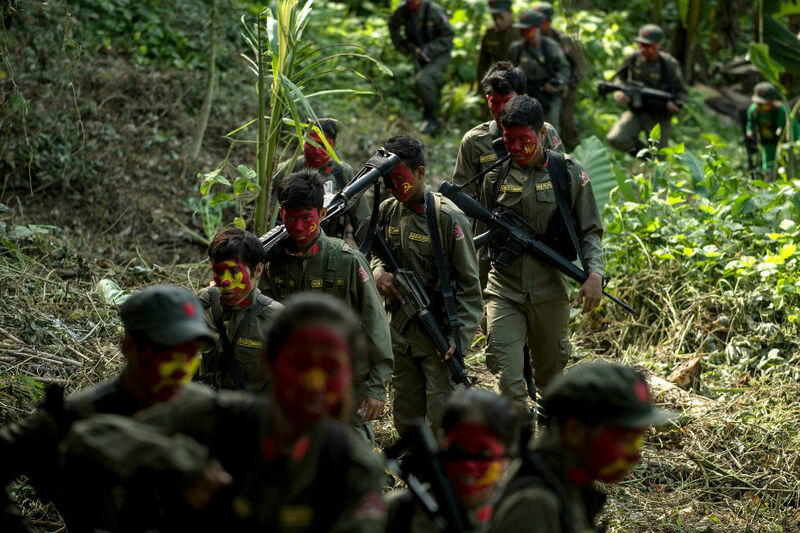 MANILA -- Communist rebels on Friday said they would unilaterally observe a ceasefire for 5 non-consecutive days for the Christmas holidays and their party's 50th founding anniversary. The unilateral ceasefire will take effect from 12:01 on Dec. 24 to 11:59 p.m. on Dec. 26 and from 12:01 a.m. on Dec. 31 to 11:59 p.m. the next day, New Year's Day, the Communist Party of the Philippines Central Committee said in a statement. New People's Army fighters will "cease and desist" from offensives against the police and the military while the truce is in effect, according to the statement. They will however maintain a "high degree of militancy and vigilance" for possible law enforcement operations, the CPP said. The ceasefire can be extended or cut short depending on ground conditions, it said. Security forces and the CPP traditionally declare separate ceasefires for the Christmas and New Year holidays. In 2017, the government declared a ceasefire from Dec. 23 to 26 and Dec. 30 to Jan. 2. Peace talks between the government and the CPP bogged down in 2017 after the government accused the NPA of mounting attacks while formal negotiations were ongoing.